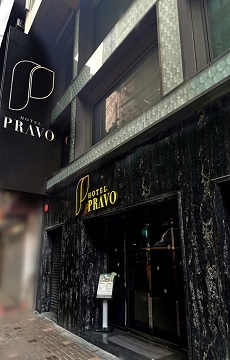 Hotel Pravo Hong Kong sits in Tsim Sha Tsui, Hong Kong’s well-known commercial, entertainment and shopping district, next to beautiful Victoria Harbour, T-Galleria Duty Free and iSquare shopping malls. Surrounded by restaurants serving different cuisine, and a few steps away from the Tsim Sha Tsui MTR station and the ferry terminal, the hotel provides easy access for business travellers. The hotel offers 92 deluxe rooms and suites, each decked out to meet guests’ varied needs with décor modelled after themes like rock-and-roll black, mysterious purple, pastels and classy gold. Besides a spacious living area and well-equipped bathrooms, the property also comes with fitness facilities, high-speed WiFi and 24-hour security. Hotel Pravo Hong Kong provides you the convenience, comfort and a peace of mind, whether you are on leisure or business travel. Hotel Pravo Hong Kong is one of a vibrant collection of The Ascott Limited's serviced residences in over 80 cities in Asia Pacific, Europe and the Gulf region. A member of CapitaLand, it is the global leader in branded serviced residences, bringing you over 30 years' experience in supporting travellers who work and live away from home. Because life is about living.